The North End is known to be one of the most desirable areas of Boston. The convenience to everything the city has to offer is unparalleled and is part and parcel of why native Bostonians and transplants love to call it home. You are able to walk to the Financial District, The Boston Garden, the Orange line T all in about 10 minutes. There are all kinds of mom and pop family stores for all your culinary needs such as the all night bakery Bova, Polcari’s coffee and spice store, The Dipaola and Rossi Butcher Shop , and the Famous North End Farmers Market. The North End is also home to The Mirabella Waterfront Pool which comes in handy when you can’t get away to cool down on those hot summer days. If this kind of convenience and lifestyle seems to suit you, this apartment complex has even more that will convince you, you’ve made the right decision to consider living here. This property has so much to offer, you won’t have to worry about a thing. 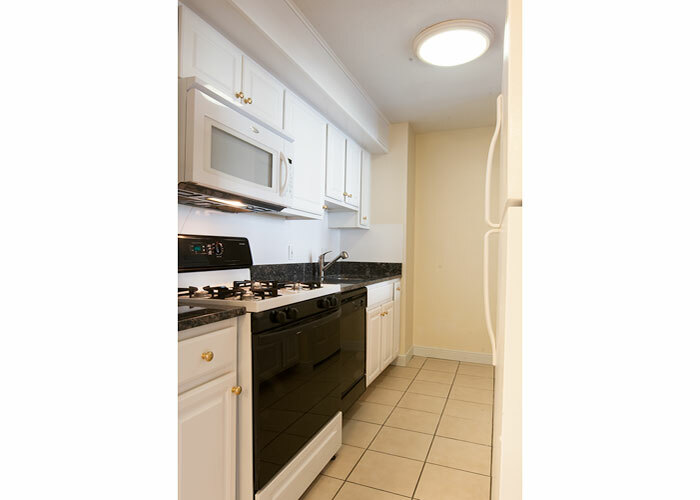 This apartment building has an onsite management and a 24 hr maintenance staff who are professional and courteous. Each apartment has Central heat and Air conditioning, gas stove, floor to ceiling windows, carpeted bedrooms, lots of closet space, and wood flooring. The kitchens are renovated with fresh white cabinetry and a modern feel. You’ll find all your major appliances, granite countertops, a microwave and dishwasher, plus – all your utilities are included in your rent! Some of the apartments also offer private balconies with views of the harbor. This elegant, elevator building also has its own private landscaped courtyard with gas grills, a large common Penthouse sun room with the most amazing views of the Boston Harbor, an underground parking garage, and a fitness center! As convenient as living in the North End might be, this location also puts you on the edge of the waterfront and in the neighborhood of one of the first waterfront parks in the city, Christopher Columbus Park. The Christopher Columbus Park is part of the Boston Harbor Walk as well as being steps from the new The Rose Kennedy Greenway . You’ll be surrounded by both nature and city life! This will come in handy as the apartment building is also pet friendly accepting both cats and dogs for a reasonable pet fee! They have an easy holding policy with a $100 deposit plus $30 application fee ($100 is applied to your 1st months rent). They have both one and two bedroom apartments, all priced within your budget. Come see what this neighborhood has to offer! Call us for a showing and you’ll be very pleased you did!